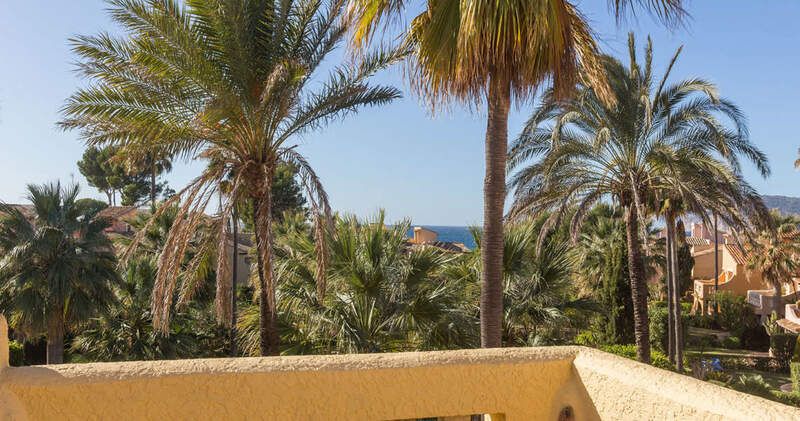 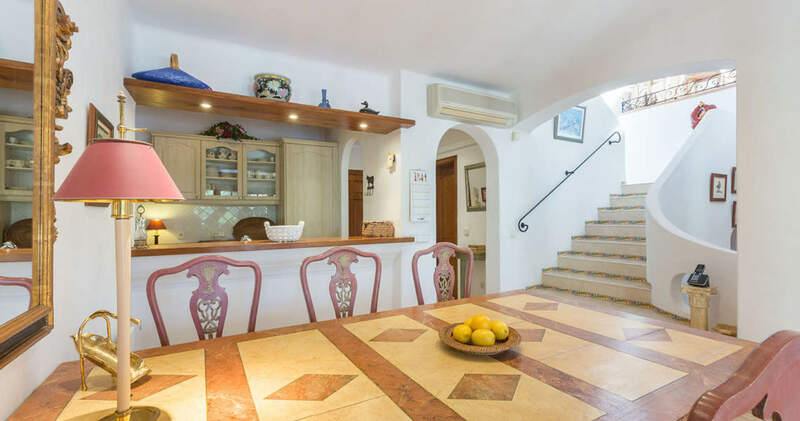 Due to its southwest facing position, this cosy house in Costa de la Calma makes the most of the sun and also offers close proximity to the sea and the centre of the village. 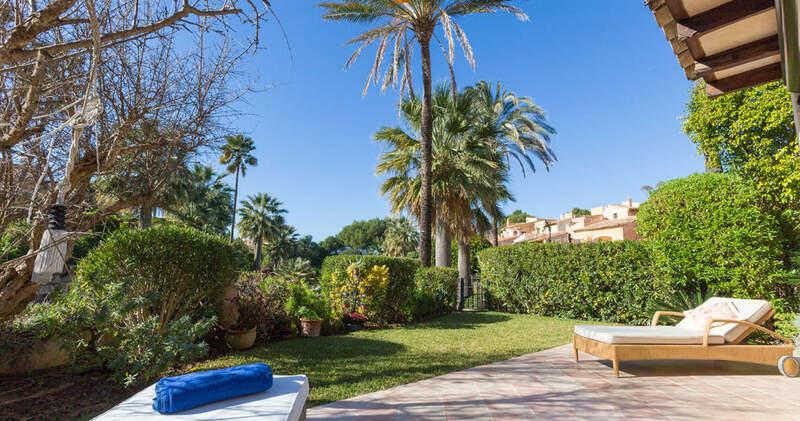 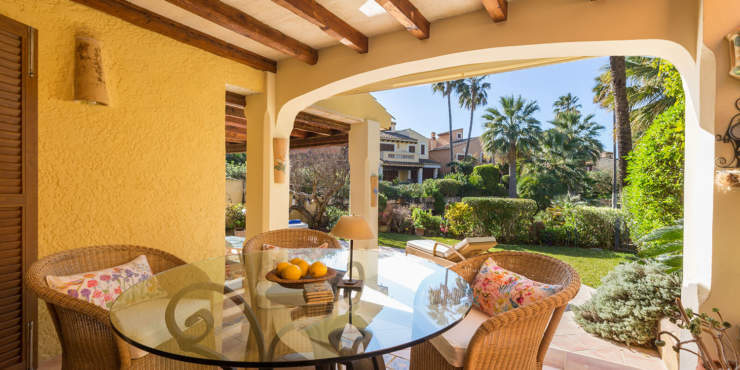 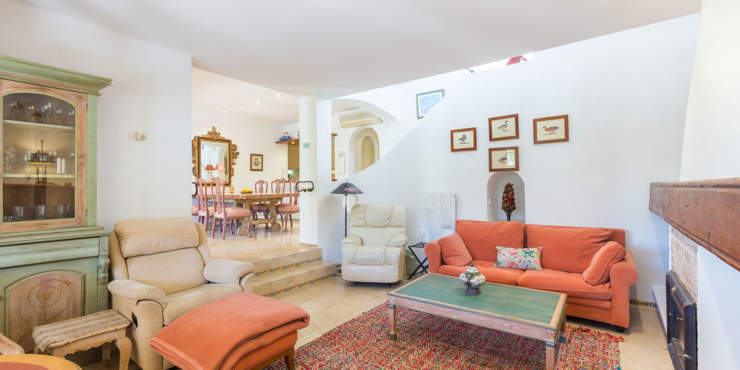 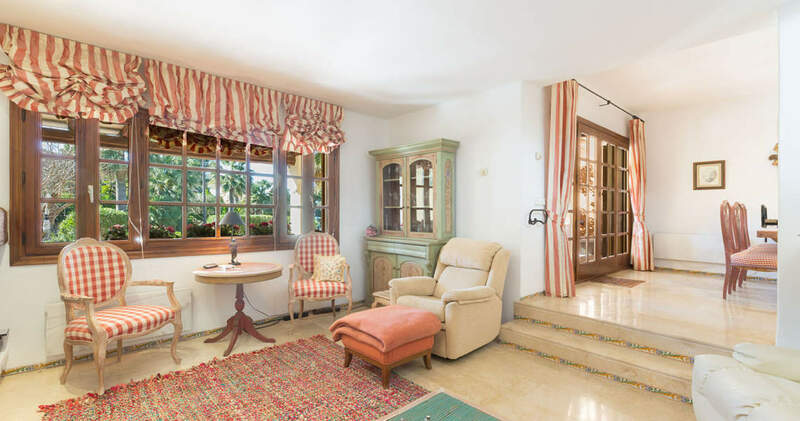 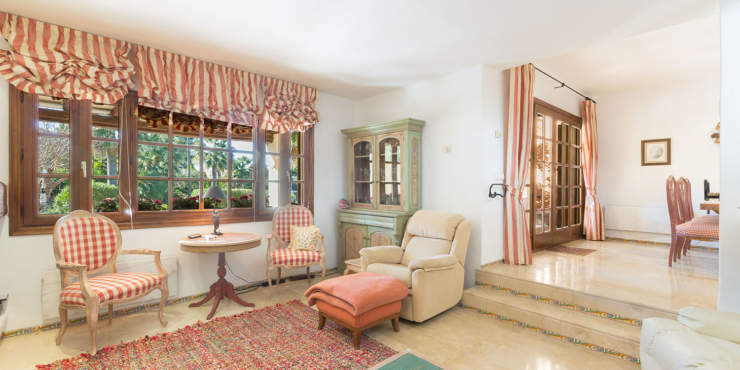 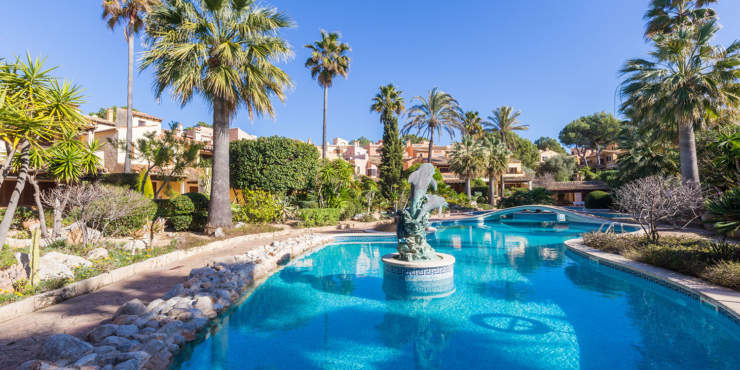 The house, with its own garden, is situated in a well maintained residential complex in a sought after neighbourhood, that offers easy access to the island’s capital Palma, and the airport. 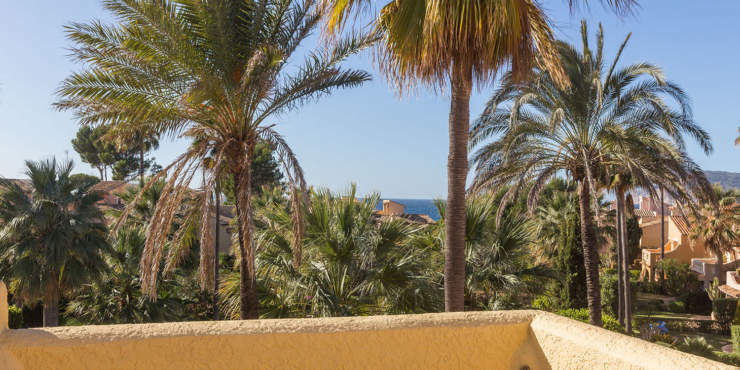 Several beaches, golf courses and yacht marinas are just a short drive away. 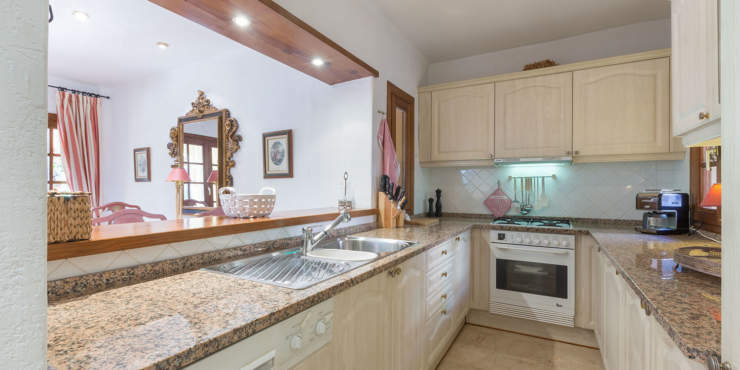 The ground floor comprises a split-level living/dining room with fireplace, an open plan kitchen, plus a guest toilet and a utility room. Stairs leading to the top floor accommodate a gallery area with a small office. 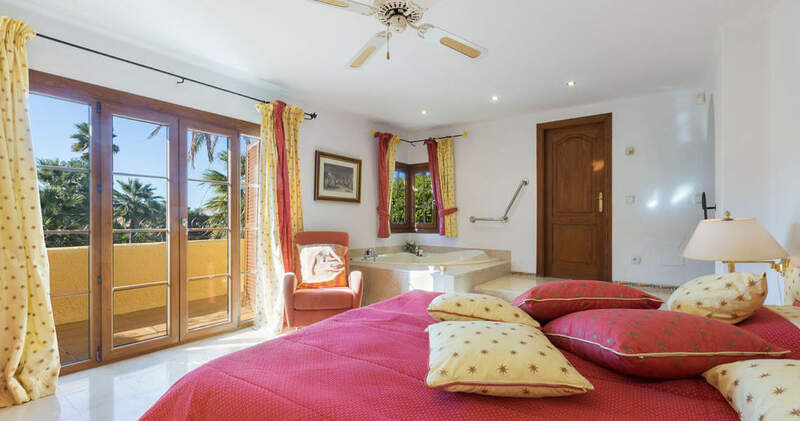 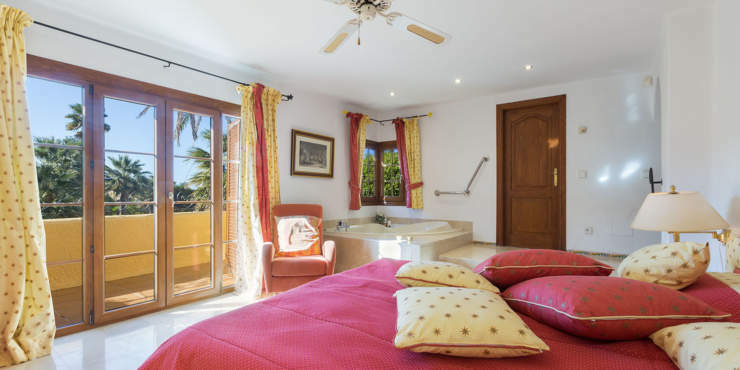 The master en suite bedroom with dressing room, as well as its own sea view terrace, plus a further two bedrooms and a bathroom, are located on the top floor. 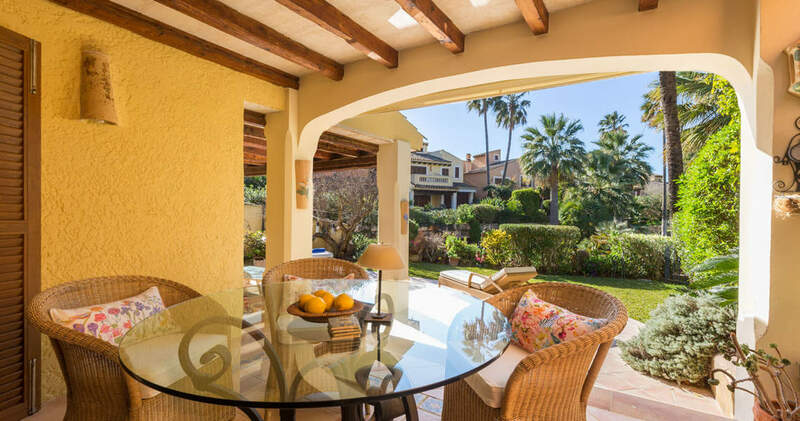 Outside open and covered terraces and a lovely roof terrace with fantastic views of the surrounding area, are ideal for relaxing. There is also a large garage with direct entrance to the house. Communal facilities include a landscaped pool area and beautiful Mediterranean gardens as well as access to the sea.